One of the most rewarding trips you will ever take is a multi-generational vacation, especially is it is a bucket list trip. You might opt for an educational journey for the grandkids, or simply a cruise. However, whatever you want to do, it takes a lot of thought and planning. You must consider schedules, ages, interests, physical abilities and limitations. These things affect not only when you take the trip, but the type of vacation your family will love. I wrote this article, based on how our family travel experts work with their clients, to help you find your way through the multi-generational vacation planning process. It is based on a question/answer format with suggestions and things to consider. Why are you taking this vacation? Today, many families are spread out around the United States, and even the world. Others are close knit and spend lots of time together. So, before you decide on which trip to take, you should consider your reason for doing so. Is this to be a bonding experience between family members who rarely see each other? Do you want to enable grandparents to spend more time with their grandkids? Maybe you want to get away from all the electronics we have learned to spend our lives with? Or perhaps you just want to get away and have fun together. So before you decide on the type of multi-generational vacation to take, you should consider the purpose. For example, if you are leaning toward a cruise, will it be on a large ship or a small ship? While cruising on a large ship has something for everyone, your family may not spend a lot of time together. Everyone is off doing their own thing, and may only be together for dinner. Once you are sure a large ship is right for your family, if you want more quality time, consider hiring private guides in one or two ports so your family can explore together. If you want unforgettable memories in a more intimate setting, consider a soft adventure cruise. 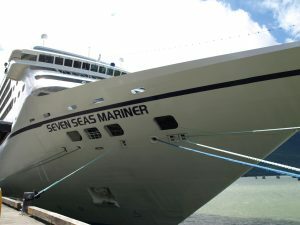 Sizes of these ships can range between 22 and a few hundred passengers. They have lots of active experiences you can enjoy together. You’ll get up close to wildlife in destinations like Alaska and the Galapagos. You’ll explore in small groups by zodiac. You can go kayaking, snorkeling, hiking,and many other activities. 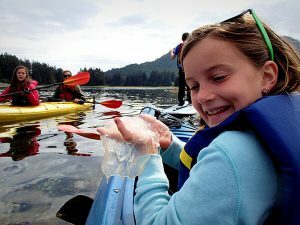 Keep in mind that while some of your family members go kayaking, the others can enjoy the activity by watching from the ship and cheering them on. As you have probably surmised by now – this is an extremely important factor to take into consideration before you even begin planning your multi-generational vacation. Scheduling a vacation is another challenge. You not only have to coordinate and arrange adult vacation time from work, but school vacations. Keep in mind that the older the children, the more difficult the scheduling; there are often extra-curricular activities to take into consideration. Use a calendar to note everyone’s commitments around the proposed vacation period. Then you can determine when the entire family is available and for how long. To avoid disappointment and change fees, we suggest you do this before you even decide on the type of trip. There is nothing worse than getting everything all set and then finding out that one of the older kids must report in for football practice the day before the trip is due to end. 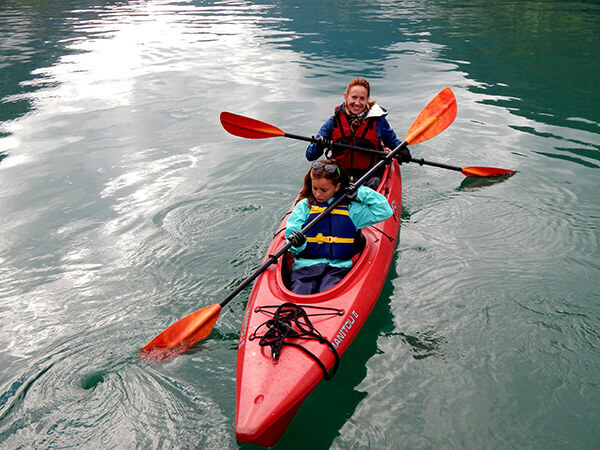 A soft adventure vacation is great for a multi-generational vacation. You must, however, take into consideration the ages and activity levels of the participants. Also, know the age restrictions, if any, imposed by the travel providers. If the grandparents are elderly, it doesn’t necessarily mean you shouldn’t consider soft adventure. Many folks in their seventies and eighties enjoy active vacations. You just need to know their physical limitations versus the activities that will be available. What are the individual Ages and Interests? If you are traveling with young children, it is important to consider their attention span. You may wonder about taking a young child on a long flight to Europe. Think about how they manage a long car drive. If they are contented and can amuse themselves, they should be fine on a long flight. If not, perhaps you should focus on something closer to home. Everyone who travels with teenagers knows they can make or break a vacation. They are too old for the kids’ programs, and many aren’t interested in spending a lot of time with adults or visiting museums. Teens are usually enthusiastic about traveling, so be sure to include them in the planning process. If the ground rules are that activities should be something everyone will enjoy, let them know. Remember – if the teens are happy, everyone is happy! There are diverse interests in any group, and especially in a multi-generational family. Our family travel experts have developed a form they ask all family members to complete so we can determine their interests. Once we receive the completed forms, we analyze the results and recommend a vacation based on the interests of the majority. However – we don’t forget about those individuals with special interests. For example, say you are on a cruise that stops in Rome and one of the family members is interested in high performance cars. You can arrange for them to drive a Ferrari for a few hours, while the rest of the group engages in another activity. You want everyone to love the trip! If you’d like a copy of our form, please send an email to info@hagersjourneys.com and put Request Interest Form in the subject line. What activities are best for kids? When we poll the families’ interests, we include the kids – and sometimes their interests surprise us. Kids might like a short visit to a museum or two – in fact, some cities have special children’s museums that everyone would enjoy. If you would like quality time in the museums for the adults, we recommend hiring a guide for the children. These special guides teach the kids about visiting museums, have scavenger hunts for the young ones, and contests for the teens. Be sure to arrange special activities for the kids. For example, when in Rome, schedule the Gladiator School, a pizza making experience or gelato making class. It will give everyone something exciting to look forward to. As a bonus, activities like the Gladiator School will inspire the kids to want to know more about early Roman civilization. Do you want everyone to “unplug” or not? Often families want to have an “electronics free” vacation. This is not an easy thing to accomplish! It isn’t only the kids that would have to unplug, but the parents and grandparents too! How attached is your family to their gadgets? Can everyone unplug for an extended period? Wireless internet is available almost everywhere, and you can even bring your own personal hotspot with you for a nominal daily fee. So, if you want to unplug, it will need to be a conscious effort and included in your planning. If you do want unplugged time, but are getting resistance, we recommend you set aside a designated time each day when everyone can check their social media accounts and email, upload their photos then unplug for the rest of the day. Do you plan to include your family pets? Royal Palms in Paradise Valley Arizona is a very pet friendly resort! 22 passenger ship, you may be able to bring Fido. becoming so. I was recently at the Fairmont Copley Plaza in Boston where they have a “house dog” that spends the day greeting guests as they arrive. If you are planning on taking your dog on your vacation, check the rules of the various hotels and resorts at which you would like to stay. Most hotels charge for the pet, and provide pet beds, special meals, and even dog walking services. However, this can come with a hefty fee. 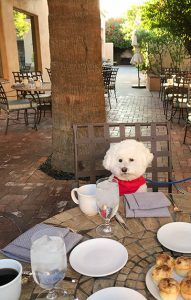 Find out if the hotel has a patio restaurant that is pet friendly so you don’t have to leave Fido in the room all day! What type of trip is best for your family? There are so many travel opportunities available. Cruises, tours, safaris, vacation home rentals, theme parks – the list goes on and on. Look at the input from all the questionnaires you’ve had your family members complete to determine interests, activity levels, and length of trip to help you decide. Sometimes that information alone can result in a quick decision. For example, if everyone is interested in visiting an exotic destination and seeing wildlife, but are only available for 9 days (5-day week + 2 weekends), it would not be possible to go on safari in Africa – but it would be possible to explore the Galapagos on a 7-night cruise. However, if the input from the questionnaires is very diverse – we recommend leaving the decision up to the person analyzing the forms and taking responsibility for putting the trip together. These days, we recommend that everyone have a passport because travel outside the United States requires one. Adult passports are valid for 10 years, and children’s passports are valid for 5 years. To be on the safe side, double check your passports to be sure they are valid for 6 months following your return date. Don’t get caught at the last-minute realizing that one of the family members has a passport that is about to expire – or isn’t valid for the additional 6 months! When you get a new passport, or renew your old one, considering adding a “Passport Card” to your order. This is very useful in the event you lose your passport and as a photo ID for kids. It is also valid for land travel between the US and Canada and the US and Mexico. It is best to have an idea of the total amount you want to spend, including incidentals. Many people select a cruise because they see a low price that includes accommodations, meals and entertainment. However, be sure to investigate all the extras you will spend while onboard. Cruise lines operating large ships will sell the cabin at a low rate, but once you add everything else you will purchase like gratuities, alternate dining, beverages (from bottled water to cocktails), onboard activities, and excursions you will come home to a hefty credit card bill. So, investigate other options. Sometimes the cost of a small ship, soft adventure cruise that includes all the activities and excursions costs more upfront, but in the end, won’t be much more than the large ship with the less expensive cabin – and you may have a more memorable family experience! Now that you’ve collected all this information, what do you do with it? One of two things: finalize your planning and make your reservations OR contact us for assistance. We can review the information you’ve collected and collaboratively help plan your trip. So contact us at info@hagersjourneys.com.